Ruscombe Paper Mill, which was founded in the English Cotswolds in 1989 and relocated to France in 1995, produces the most comprehensive range of fine papers in Europe made by hand. It is one of a very few remaining independent and fully commercial mills capable of sustaining this ancient craft, so that fine quality, European-style handmade facsimiles of those papers from the late 17th century onwards, relevant to today's needs, can still be available. These papers also provide exciting and reliable alternatives to modern machine-made papers. The techniques, which originated in China nearly 2000 years ago were established in europe by the thirteenth century. The same principles for preparing the raw materials and for forming sheets by hand are still in use today. The mill combines traditional, flexible, small-scale manufacturing methods with the highest quality raw materials to recreate faithful reproductions of historic papers. 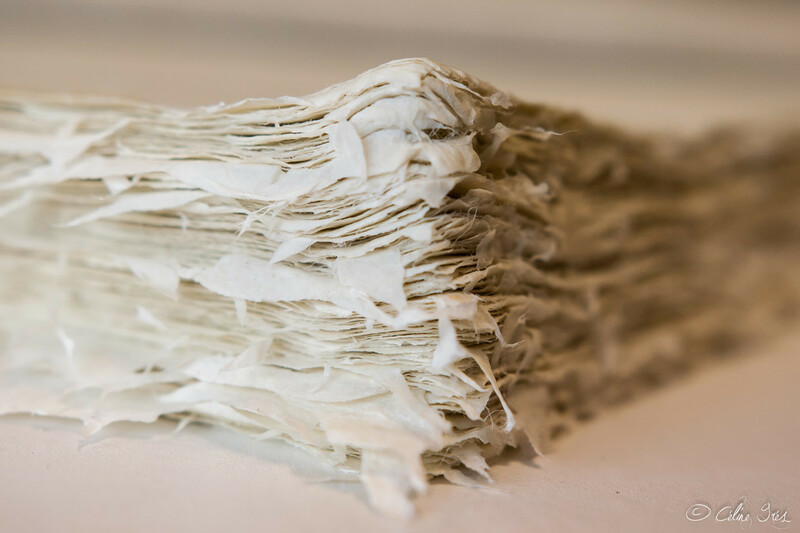 We endeavour to provide a wide variety of paper to suit the needs of both amateur and professional artists, editors, bookbinders and conservators. We are always available to advise and develop customers' specific needs for special makings.